While we are still in the thick of the action for October (and with the memories of Kona 2015 still fresh! ), it's a good time to reflect on last month and announce our ERDINGER Athlete of the Month for September 2015. As always, thank you for your emails, nominations, recommendations and suggestions for the AOTM award this month. With September being one of the peak months of every triathlon year, of course, there were plenty of worthy names for us to consider. As it seems every month, it was another difficult decision to make. 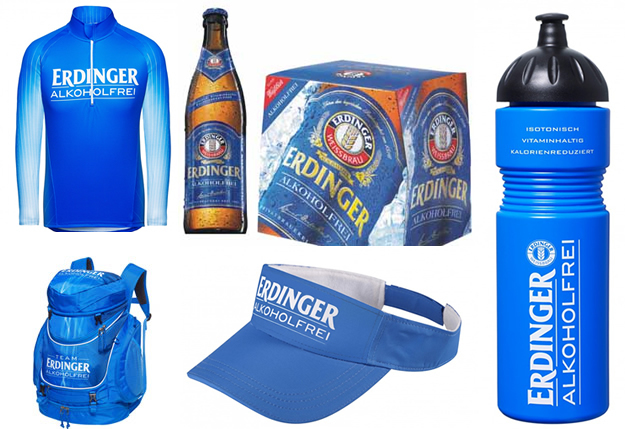 Each month selecting our ERDINGER Alkoholfrei Athlete of the Month is a difficult task, always highlighting plenty of worthy winners who we feel guilty for not including... but we can only select one winner. This month we have selected an exceptional Age-Group athlete who bounced back from disappointment in what was to be his 'A' race of the year, to produce a stunning result in his first Ironman, booking his slot for Kona 2016 in the process. When pulling together our preview of the Ironman 70.3 World Championships in Zell am See earlier in the year, Andrew was one of the British athletes we highlighted with the potential to make the World Championship podium. Unfortunately, not featuring in the post-race roundup meant that didn't happen. The reason for that? "There was a line in the middle of the road on the bike course, and I crept over it with 5 miles to go thinking that it was the safest route. Unfortunately this was not shared by the race referee and I was immediately 're-carded'...I can analyse, or assume that others did the same, or claim that I was taking the safest route, but rules are rules and I broke them." That mature and reasoned response - bearing in mind that Andrew was only a minute behind the leader at the time, with his best discipline the run to come - impressed us hugely. While tempted I'm sure, he kept his 'toys in the pram'! It didn't work out well - it ended brilliantly. On race day, Andrew won the 30-34 Age Group by more than 35 minutes, ending his day on what is renowned as an exceptionally tough course with a sensational 2:55:47 marathon. Not only that, his time was the fifth fastest of the day overall, including the Pro's. Kona qualification was secured more than a year in advance. That said, Andy now has something to live up to - given that three of his team mates made the podium in Hawaii this year! We want YOU to help us identify an Athlete of the Month candidate each month through 2015! Perhaps you have got a friend, rival or club-mate who you feels deserves recognition for their efforts - as well as some tasty bottles of ERDINGER Alkoholfrei plus some great prizes? The criteria is up to you - they may be the fastest, have recovered from injury, have sacrificed their own performances from others, shown consistency... anything you think is worthy of recognition!